The RIVERDALE parents—AKA the Midnight Club—are forced back together on the Wednesday, February 6 episode of the drama. 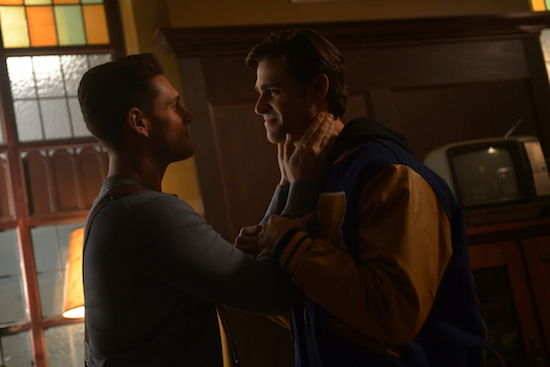 Riverdale -- "Chapter Forty-Seven: Bizarrodale" -- Image Number: RVD312a_0430.jpg -- Pictured (L-R): Casey Cott as Kevin and Cody Kearsley as Moose -- Photo: Sergei Bachlakov/The CW -- ÃÂ© 2019 The CW Network, LLC. All Rights Reserved.